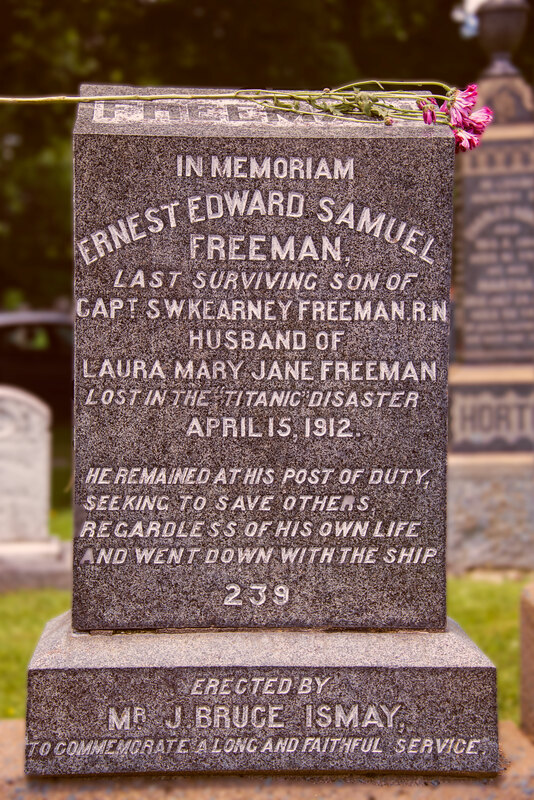 Ernest Freeman was reportedly the Chief Deck Steward on the Titanic. He is buried in Halifax’s Fairview Lawn Cemetery along with 120 other Titanic passengers and crew–some still unidentified. The number “239” on the tombstone indicates that his was the 239th body pulled from the water during the recovery efforts.